As the season turn from winter to spring, many motorists will be making the switch from winter tires back to high performance summer tires. But a great many more will be continuing to drive on the same tires they use year round, unaware that the vastly different driving conditions that come with the winter months require a different kind of tire equipped to handle the season’s unique challenges. More still may be unaware that there even are such things as “winter” and “summer” tires, and that attempting to drive through winter conditions with the wrong ones could be extremely dangerous. Summer tires are most commonly marketed as “high performance” tires, and typically come standard on the sport model of a car. The tread is larger and designed to expel water, giving it superior handling on wet roads. 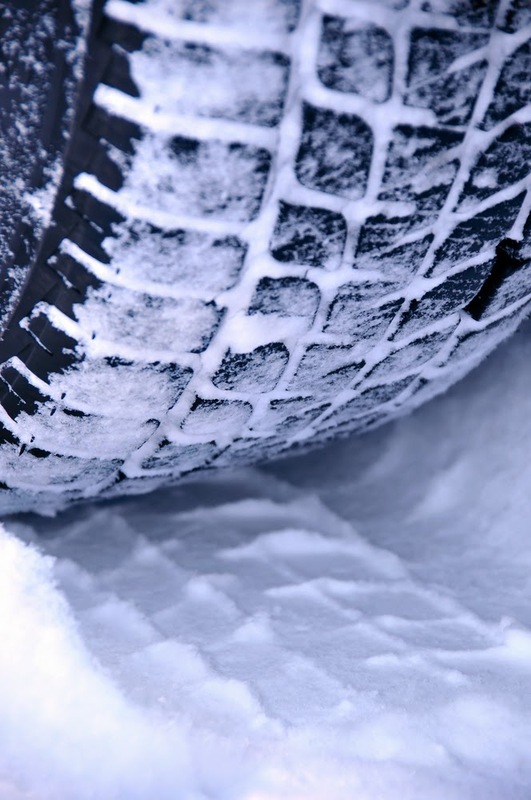 Winter tires, conversely, feature a tread pattern cross-hatched with a network of thin cuts known as “sipes” that are designed to bite into the elements and provide unbeatable traction on snow and ice. Another factor is the actual chemical makeup of the rubber used in each tire. Summer tires are formulated to remain firm in warm weather; however, this formula also causes the rubber to freeze in cold temperatures, essentially turning your tires into giant hockey pucks. The compound used in winter tires is far softer and more resistant to freezing, but provides little in the way of traction in warmer temperatures. A natural response to all of this would be, “Well, why not just buy a set of all-season tires and be done with it?” The answer is the common adage: Jack of all trades, master of none. If you live in an area that does not experience severe winters, then an all-season tire might work out for you. However, as many people in the Northeast realized with this winter’s Polar Vortex, extreme conditions will very quickly lay bare an all-season tire’s weaknesses. Many consumers were inspired to buy Nokian tires after their supposedly all-season wheels left them stranded. Acceleration and stopping speeds can be up to double a winter tire’s performance on an all-season tire, leading to potentially dangerous situations (particularly if a person is driving with the assumption that their tires are able to handle the conditions on the road). There is also the added benefit of doubling the longevity of each set of tires! Having tires specifically designed for the weather will dramatically increase the life of the tread, and changing the tires twice a year will eliminate the need for tire rotations. Healthier tires mean lower gas mileage and much greater safety for you and your family.